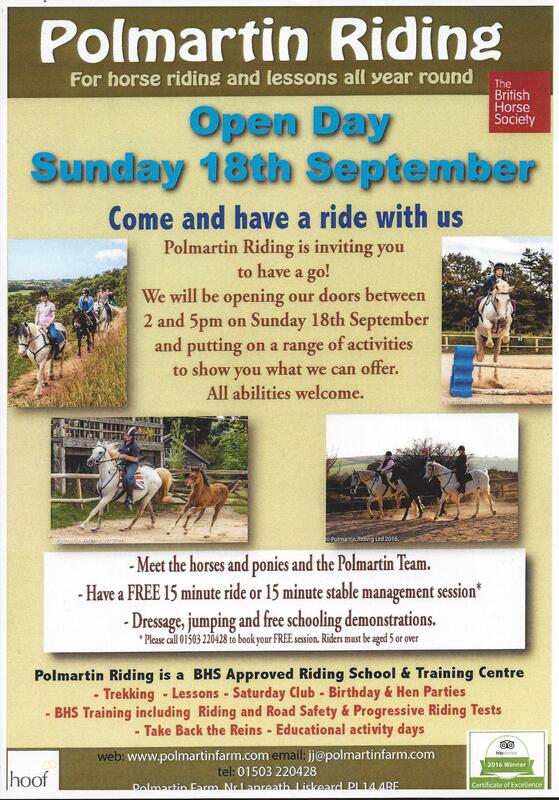 Polmartin Riding is inviting you to have a go… They will be opening their doors and putting on a range of activities to show what they offer. All abilities welcome. 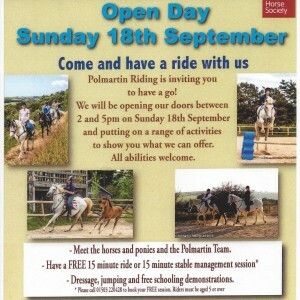 Meet the horses, ponies and the Polmartin team. Have a FREE 15 minute riding lesson or 15 minute stable management session (book in advance on 01503 220428 – riders must be aged 5 or over). Dressage, jumping and free schooling demonstrations.